Ten minutes in on this second day of the season, after a gorgeous mistake yesterday, Peat bee-lined from the shore up a wee crotch of a draw and froze. Angus soon joined him and validated the point. Both held solid until I hoisted myself the hundred or so yards, and then they burst. It’s on the video, in slo-mo, even. I hit the first three, not even sure how many birds took off, then watched more waves of ones and twos going every direction, in the air, on the ground, in my memory. Fantasy start. We worked hard chasing them, finding new coveys, dogs going nuts, and Leslie made the shot of the day, a crosser across a ravine. She saw it land but couldn’t find it. Then Peat pointed it (it’s on the video, too). What a day. I love you passion for phookars! 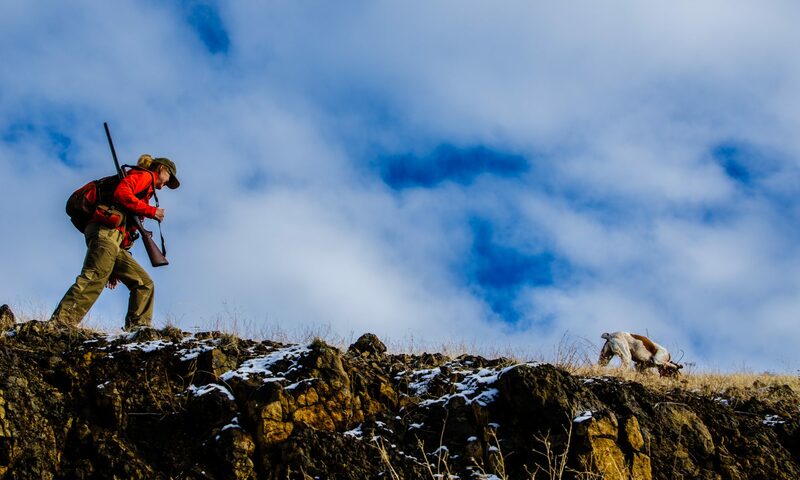 Great blog and I love the story behind your wife starting to bird hunt. Keep up the great work!